This is my UK review of the Monument 1459W Master Plunger. This is one of the best selling bathroom and kitchen plungers that are currently available on the UK market. Rather than be hit with a massive plumber's bill, a plunger like this can probably do the job, and is certainly worth a try, before calling out a plumber. This plunger works for sinks, baths and even for toilet waste pipes to help quickly remove blockages. 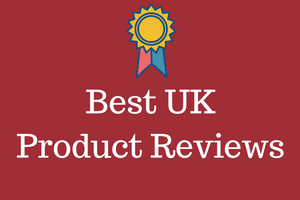 Overall UK buyers have rated this one with a 90% buyer satisfaction, and that is certainly a very impressive rating for a very useful little product. Trying to clear a blocked sink, a blocked bath, a blocked shower or any type of waste pipe is not a job that anyone ever wants to have to do. It is just never a pleasant task. Let's face it sink, shower and bath waste pipes are usually full of hair, and dirt that has been washed off the body. That has been stuck in there for a long period of time, and becomes a pretty horrible mess. Yes it can also smell, so the combination of clumped hair and a sour smell, is not something you really want to put your hands anywhere near. I won't go into too much detail on what can be down a toilet waste pipe, but it can range from kitchen roll, toilet paper, wet wipes and many other "man-made blockages." I will leave my description at that as I am sure you know what else may be loitering around the u-bend. The majority of buyers state that this plunger is very good at getting rid of any or all of the above, so certainly worth your consideration. You can try and manually fix the problem by getting some rubber gloves and getting your hand in. Many people try using items like wire coat hangers etc. That is never a pleasant task but in some cases it can work as long as the blockage is not too big. This will not cost you any money but it is problematic if it will work or not, and let's face it, it is not something you really want to have to do. Thirdly you can try something like a drain cleaner liquid which dissolves blockages, or try a plunger of some kind. That option will cost about £10-15 depending on what you decide to try. For me anyway, the third option is best. Compared to calling out a plumber this is a much cheaper option, and if it works clears the blockage problem, and saves the high costs that a qualified plumber will charge. In this main review I will explain some more detail about this product so as you can decide if this is the right choice for you. Generally speaking plungers can range in price from about £4-20 depending on which one you decide to go for. This Monument plunger is towards the higher end of that price range with an average price of around £15, depending on where you make your purchase. The question really, is it worth spending a little extra on this one or not? The good news about this one is that it can be used on most baths, sinks and showers to clear the waste pipe blockages. It can also be used to clear a toilet waste pipe but will work better on oval shaped toilets, and not just so well on square or rectangular shaped toilet bowls. That is just down to the round shape of the plunger not being a perfect fit for a square or rectangular shaped toilet bowl. For something like that you are better to use a plunger designed for that. I have done a review on Luigi's plunger, which does that, and you can click here to read that review. However this Monument plunger works on a simple enough principle in that you cover the waste hole with the plunger, and then simply pump the plunger up and down. That will then create suction and using a mixture of air and water will help move and shift any blockages in and around the U-Bend of the waste pipe. Typically you do the plunging action for about 15- 20 seconds and you may need to repeat this action 2-3 times but it will eventually shift most things. Here is a short video on how this type of the Monument concertina style plunger actually works. What Types of Waste Pipes Does It Fit? The quick answer is any shape of sink waste pipe, shower waste pipe, and bath waste pipes. As I mentioned earlier, it will work well on oval shaped toilet bowls, and although it will work on square and rectangular shaped bowls, there may be a little leakage around the sides. That is because it is difficult to get a proper seal around the toilet bowl. What Size is the Monument Plunger? For those who like their technical detail, this is classed as a 5 inch (125 mm) plunger. It measures 35.6 x 16.6 x 15.8 cm and weighs around 140 grams. It is made from plastic. What Buyers Say About the Monument 1459W? The most important part of any product review is really what the buyers have to say, and how they rate the product, after they have bought and used it. What I do here at my website is read most of these reviews at different online websites, where the product is sold. I then summarise these into an average buyer satisfaction rating. This plunger overall got an 90% buyer satisfaction rating, which is a very high rating. Many other of the basic plungers get rated around 65-70%. I make notes when reading all of the reviews and then summarise those in a pros and cons table. That makes it much easier for my readers to see at a glance if the product is suitable for their needs. Many buyers said that this plunger is big and that is what made the suction so good. Overall buyers said this was super easy to use, though a few buyers said that it was too big to use in their toilet bowl. With most sinks, baths etc there is usually plenty of room around the hole, so it is easy to create the all important vacuum. With toilets that is a lot more problematic. It is interesting that from the 4% of complaints, which is low, that all of the complaints were about issues with the toilet bowl. No-one appeared to have an issue with sinks or baths. At the end of the day this is a plunger, one that sells very well online, and has a very high 90% buyer satisfaction rating from those online buyers. From that you can read that this one works very well, and gets the nasty job done. It is in my opinion worth a try before you have to call out a plumber, which will cost you somewhere around £100-150. At the price this sells at it is at least worth a try, and it does work for almost every single buyer. Many of the buyers also stated that they had tried many other things like baking soda, soda crystals, pieces of long wire etc and none of those had worked. They bought this, gave it a few plunges and it worked. One word of warning, and it applies to all plungers, never be tempted to yank this right out with force, or you may end up sprayed with gunk, if the suction releases quickly. Another top tip is to have a bucket or basin handy to set the plunger into when finished. I would also recommend having some disinfectant or bleach at hand when the waste pipe gets cleaned. That is handy to pour down the waste pipe and also to clean the end of the plunger. Please note that this one does not come with a holder, so I recommend wrapping the end of it in a plastic bag, and keeping it in the garage or shed.